Here is the first and biggest one. Once I put mine spine and engine block together, there was one plate of gap between the two. I fill it in as per below. This is a good thing as it helps tie the bottom row of upside-down 1x4 w/studs on the side in much better. 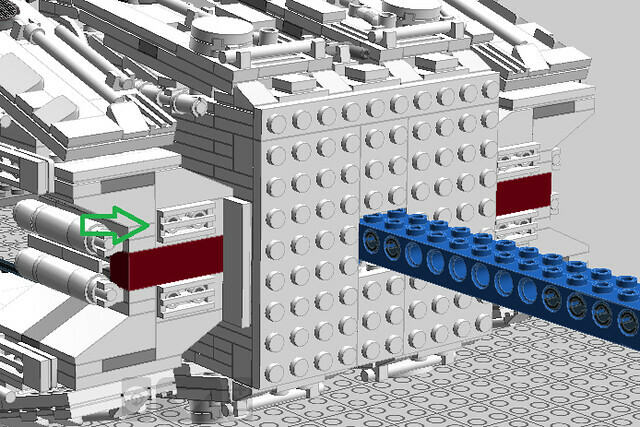 I also replaced the brick that holds the 1x2 grill on with a technic 1x2 brick w/two holes (green arrow). This will prevent the grill piece from twisting out of alignment which it does very easily. DONE! At least for now. Pictures to follow tomorrow if all goes as planned. 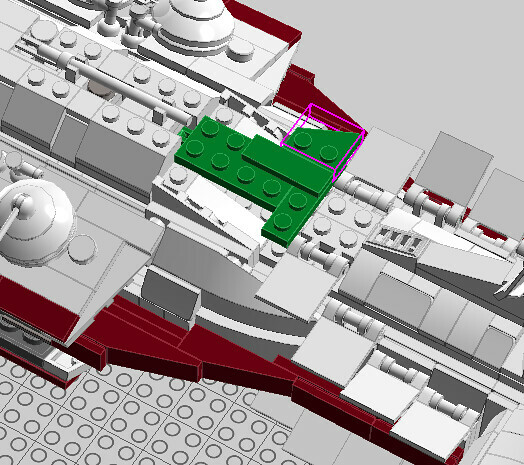 For tonight, a little detail on an area that need some TLC to fit right. This top (and bottom) fin area had a some gaps and didn't seat all the way down so I redesigned it. The only problem is that the best solution used a pair of those dreaded strap hinges but it's worth the results in my opinion. To fit in the hinge, I had to rearrange things a little on the outer spine area. @ecmo47 YAY! ? Can't wait to see the pictures! I just began my build this afternoon, so hopefully I won't be too far behind! Happy 40th Anniversary! 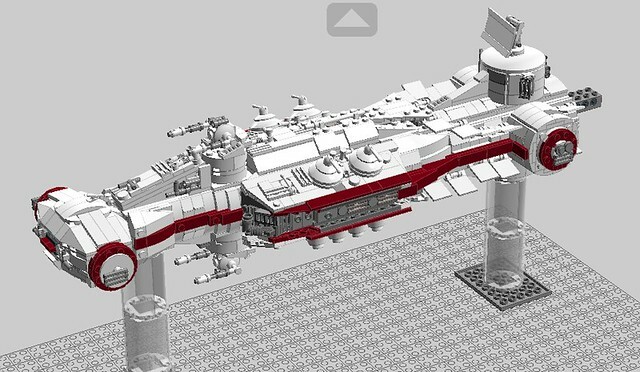 What better way to celebrate then to complete a model of the first ship that roared across the screen in 1977 and into legend. After 46 days of building, rebuilding, designing, re-designing, ordering and re-ordering, I finally have a CR-90 of my own. Thanks to all who helped make this possible: Mortesv, EKae, Bricksmarlin and all others that chimed in on the last 9 pages. This model is a compilation of those that have gone before. So here are some pictures to critique (and please ignore the misaligned 1x2 grills). @ecmo47 Looks fantastic! You'll have to put it with your fleet! 1. It's a fantastic model and very solid. It does of some detail parts that it will happily shed but over-all very swoohable! 3. There are still some areas that I'd like to improve. The one that bugs me the most is the large gap between the upper and lower planes of the middle fuselage. 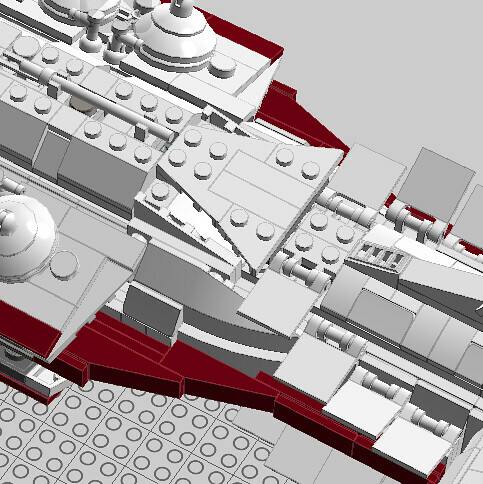 I'd like to see if I can get the more slope out of the upper and lower hull surfaces to close that up some. (DBG area above the escape pod rack). 4. 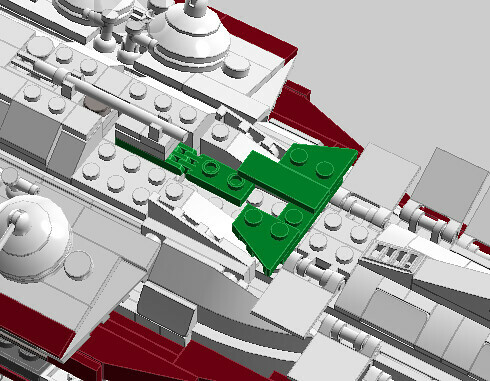 A different solution to modeling the fins back to the docking pod would be nice. The flags are ok but I'm not sure that trying to work a 3x12 wedge into that area will look much better. 5. I'm still haven't worked a final solution to hold up the 4 bottom engine flaps that want to fall down and become speed brakes. 6. I'd like to build another of random color since I have about 1/2 the needed parts already! Again, it's been fun and I look forward to future builds with ya'll. My fleet (and any others?) 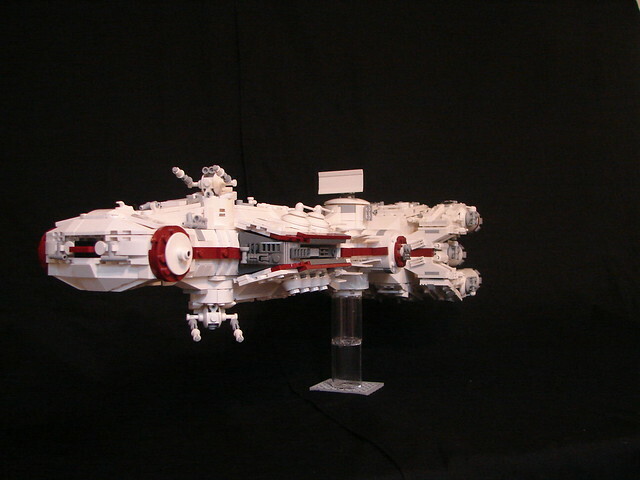 will be in display at Brickfair, Virigina August 3/4. 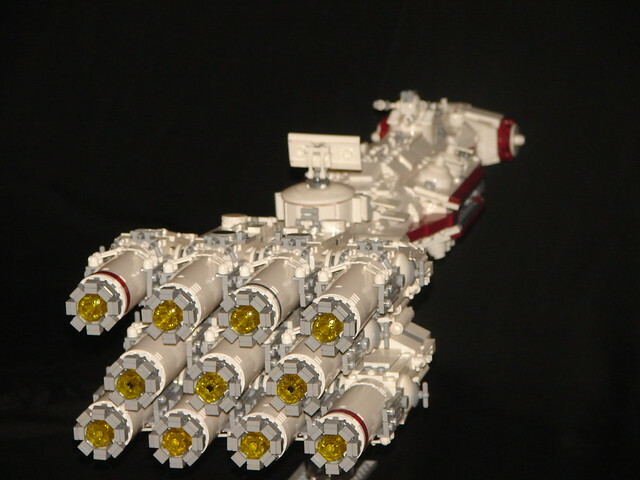 Next up for me is a pair of Hammerheads, TIE fighters and other small ships I can get done in the next 2 months. Times a-wasting! Here is a TIE Striker to threaten the CR-90. I didn't scale it like Mortesv would, but it looks about right. Maybe a 2x4 plate and two 2x4 wedge plates to cover the gray parts!? Ecmo, do you think you can upload a new parts list with just the parts that we need to use your mods? And when will you release the updated LDD? Fantastic work Scott, now we need updated pictures with your fleet! Only if you get rid of the hideous avatar! Actually I did some work in the Lego room yesterday to get everything set up in preparation for Brickfair, Virginia. Probably in a week or two. It is a "Nacktmull", I have no english translation. It was our mascot when I played soccer but I will look for a better avatar. Getting a dropbox error on your pictures. Try again? Sorry! 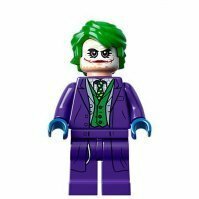 Brickshelf is currently down, so I was trying to share pictures through Dropbox . . .
Nice improvement on the striker. Like the way the wings are closer to the body. I've got parts inbound for six I believe. I think the color scheme turned out great, as well as the whole model. I'd emphasize other people making color schemes besides the Tantive's! Looks awesome! Here's one of your shots. 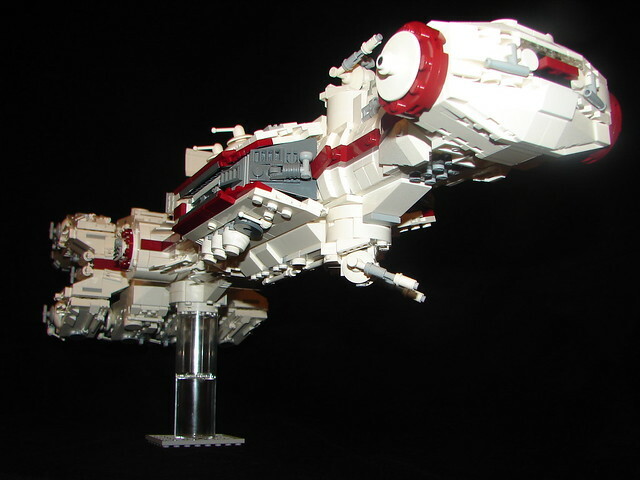 I built some fighters today and worked on the Hammerheads. I need to come up with another stand for them to get some height. Any thoughts? 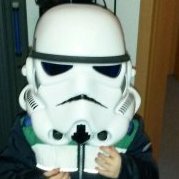 @mortesv: That is EKae's CR-90, not mine. I just posted the picture from his link so it would be easier for all to see. 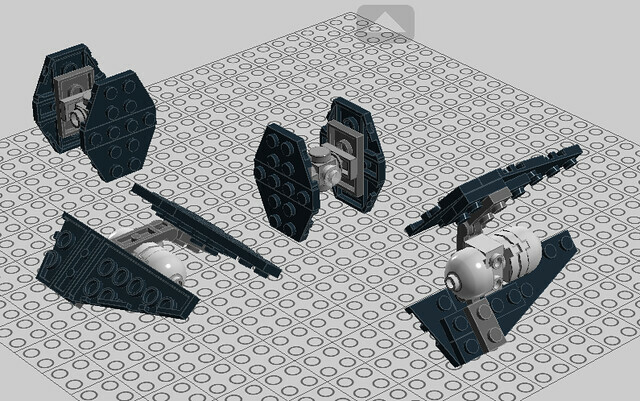 I'm working of multiple projects too: a TIE bomber and a TIE Interceptor. I hope we are not duplicating efforts! . 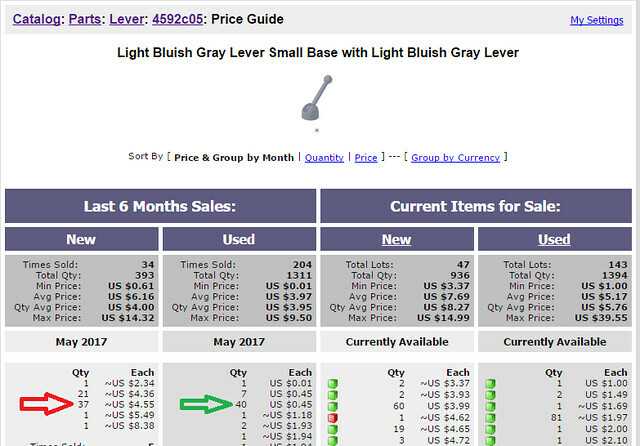 @EKae: I just noticed that you used a bunch of LBG levers with LBG base (#4592c05) which only comes in a few very expensive sets (USC MF , Y-wing and DS II). I hope you were the green arrow order and not the red one! Thumbs up @EKae. Another great looking Cr-90. 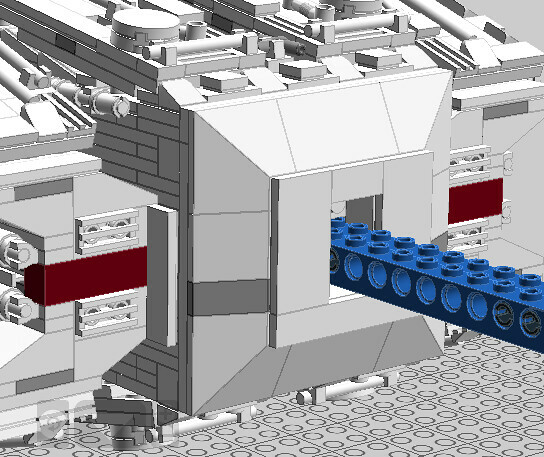 When I saw the LDD file for the first time I was not sure, but the color scheme looks really cool with real bricks.